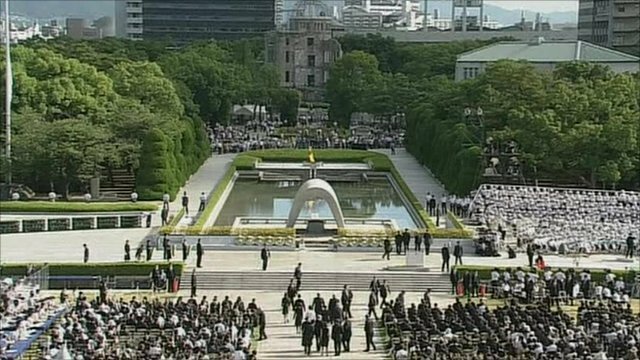 Ceremony to mark Hiroshima 65 years on Jump to media player A ceremony has been held to mark 65 years since the atomic bombing of the Japanese city of Hiroshima. One of the few remaining trams which survived the Hiroshima bomb has been restored to commemorate the 70th anniversary of the attack. It has been repainted its original colours - blue and grey - and has video testimony from survivors on board. After the blast, the city's tram system was back up and running in only three days. 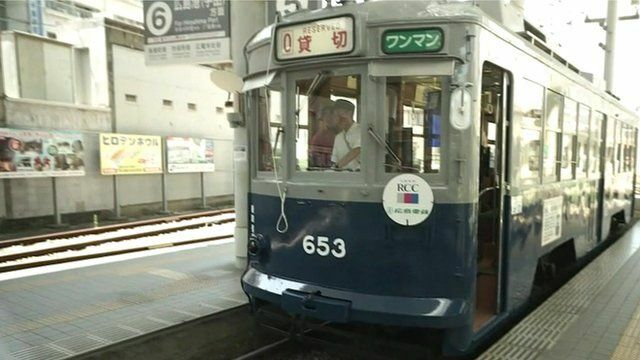 The BBC's Rupert Wingfield-Hayes takes a trip on the iconic tram through Hiroshima.